Greetings and salutations everyone; yes, once again it is I, Mani the tiny, long-suffering purebred border collie, filling in for the guy I live with, and just posting to keep up to date, which we like to do. You may remember me from such equally up-to-date posts as “The Star Student”, and “Mostly About Me”, among quite a few others. Here I am in an utterly pathetic pose. Things were going okay, as in dreadfully tediously okay, with me, although I was unbearably hot, until I had a slight complication yesterday, and I wound up in the emergency room, because the guy I live with is that kind of guy, hauling me off to the doctor pretty much whenever, and there I learned something called “waiting”. The floor of the room I waited in was extremely cool. And then this morning I also saw my doctor, and now things are “back on track”, and I’m on drugs and I don’t have to do anything. How much better could life be than that? Oh, and today, while I was at the doctor’s, I saw a couple things that looked kind of like really big dogs, but the guy I live with said they were called “horses”. The stuff you learn. I barked at them just to show who was fiercest. So that’s why I’ve been so quiet lately, I mean posting-wise. The guy I live with isn’t doing any gardening, because I would get sad, being stuck inside and all, though he does occasionally rush out and take a picture or two. The guy I live with posted this picture of a black-chinned hummingbird on Facebook, so if you’re on that, and you saw it, you can look away. He took it through the living room window, which he claims is covered with “nose prints”. I have no idea what that means. 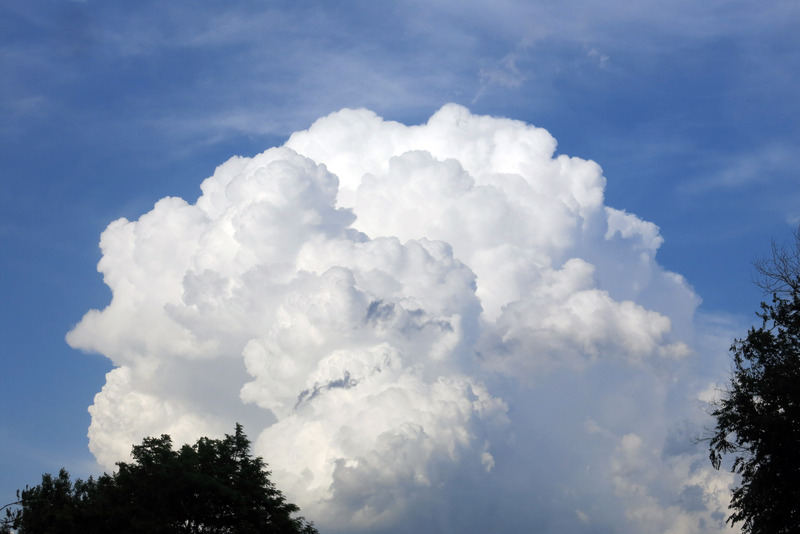 And then, to make this a truly fascinating post, here’s a picture of a cloud. He says it was about 44 kilometers away, to the east. I’m learning the metric system so I can be very advanced, if you didn’t know. So the guy I live with said the weather was all out east, which is usually is, and then all of a sudden it started raining here, and then hailing. It wasn’t very big hail. The guy I live with says that since we’re gardeners, we don’t like hail, so that’s something to store away for later, I guess. Well, that’s it. Until next time, then. Thanks. He’s pretty good at taking care of me. He has experience….. Your garden is pretty in the hail, Mani, pastel and impressionistic. I bet Monet would have enjoyed a visit. Turner would have been blown away by the cloud, gorgeous and dense, looking as if it will shoot off cloud fireworks at any moment. My husband’s on Facebook — I will tell him to go at once in search of a black-chinned hummingbird. Great catch of a photo. As for you, Mani, remember when one feels *utterly pathetic,* feeling especially tiny comes along with pathetic. 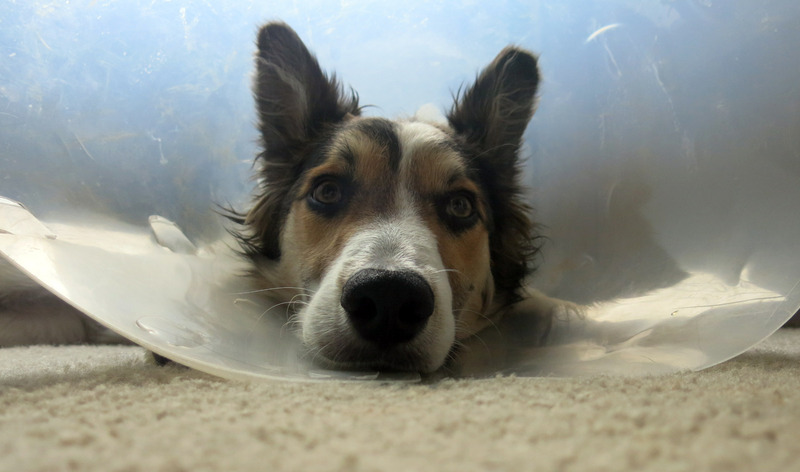 Soon you will be unconed and back to almost grown up. Meanwhile, keep on keeping fierce. 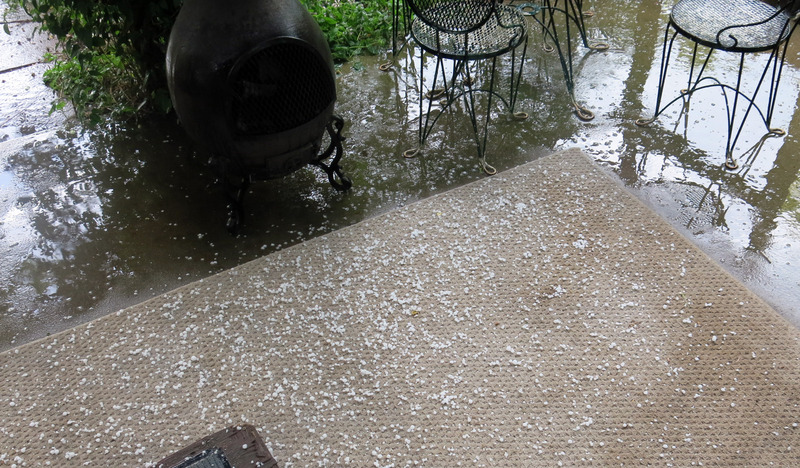 Thanks; the hail wasn’t bad, just loud. 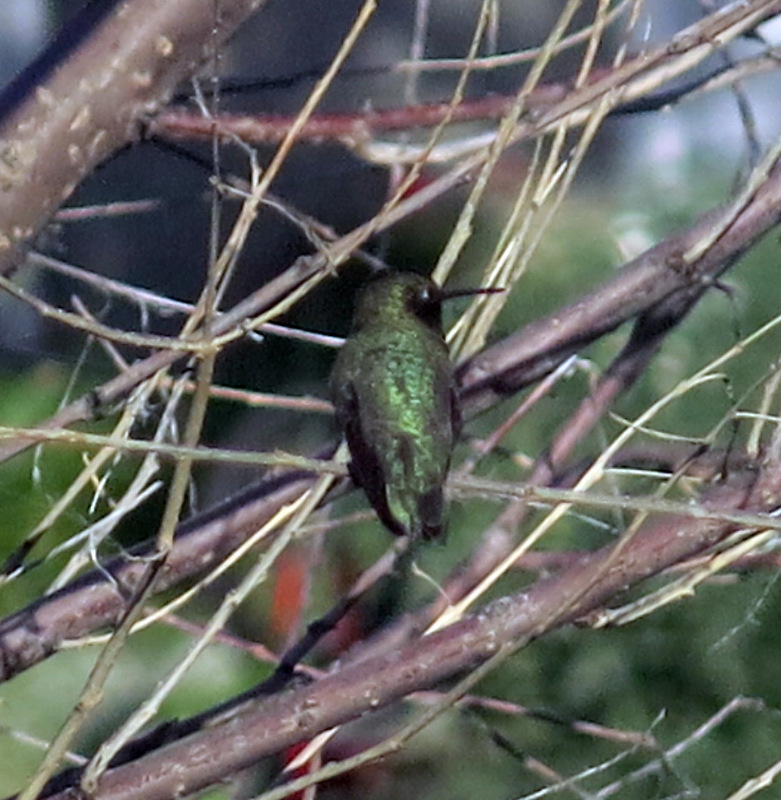 The hummingbird sat in the desert willow, which still hasn’t leafed out completely, and the guy I live with crept out the front door, with his invisibility cloak on, and the hummingbird just sat there, and he took more pictures, but, um, forgot to focus. My doctor says I should be back to normal in a few days. She also suggested that I wear boxer shorts …the guy I live with bought a couple of pair, and washed them, and claims that he’s going to have me try them on tomorrow. Want to bet? We would love a picture of you in boxer shorts if you aren’t too proud, but we are very sorry for your difficulties. Does your caretaker “friend” anyone who asks on Facebook, or do you have to be an actual friend? Though, if you think about it, we are all your actual friends…Get well soon, Mani. Thanks; both the doctor at the emergency room and my doctor suggested the boxer shorts, so I think we’re going to have a disagreement tomorrow. They’re plaid, for one thing. True, border collies are so named because they originated on the border between England and Scotland (and collie comes from coal, the color of most of us), but plaid? The guy I live with says he “friends” anyone who is a gardener. He said he was a little taken aback by some of the “friend” requests when he first signed up….. Strange weather we’ve all been having but I love that cloud. Nothing like bad weather I say when you can watch it through a window from inside. Beautiful, like you, hummingbird also. Take it easy little one. I would dearly love to see a picture of a not-so-tiny-but-clearly-long-suffering pure bred border collie in plaid boxers! I bet you would look smashing! Uh huh. I already tried them on …..